Speech titles are only needed in certain situations. The title of your speech may appear in a printed program, for example, or someone may be introducing your presentation, in which case it's worth investing a little time in making your title as powerful and memorable as possible! If your speech is to be given publicly then its title, if carefully chosen, may bring some people to hear you who otherwise wouldn't come. If you are being introduced by someone, then they will, of course, need to tell the audience the subject of your speech. Announcing the title is one of the best ways of doing this. A good title may also supplement your introduction by gaining audience interest. Since titles are important in certain situations, let us look at some of the qualities a good title should have. First, the title should indicate the subject of your speech but not reveal it entirely. People are intrigued by suggestions that leave something to their imaginations. The title, however, should not lead the audience to believe you will speak on one subject when you plan to give a talk on another. Second, the title should be brief and eye-catching. Titles that can be read at a glance are much more effective than long ones. It is safe to say that the longer the title, the fewer people will read it. Long speech titles defeat the very purpose for which they're intended. Third, speech titles should be original, if possible. Overworked titles scream BORING and are the quickest way to encourage your audience to switch off before you've even got started. Titles may take many forms. Variations include a quotation, a question, a paradoxical statement, or a shocking statement. Whatever speech title you pick, it must serve the purpose of attracting attention to your presentation. If there will be no opportunity to use a title, or to have it announced, don't waste time developing one. It actually works against you to announce the title of a speech if it isn't necessary! 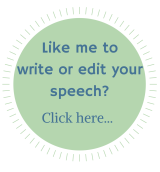 There are 5 common mistakes people tend to make when creating a speech title, leaving the audience less than excited about hearing the speech... and possibly even detracting from the brilliance of their delivery! A title that acts as a 'teaser' will make your audience curious... a title that gives away the subject AND angle of your speech will create very little buzz! What's more, your audience will form pre-conceived ideas about the topic before they've even heard you speak. Don't create a lo-o-ong title! 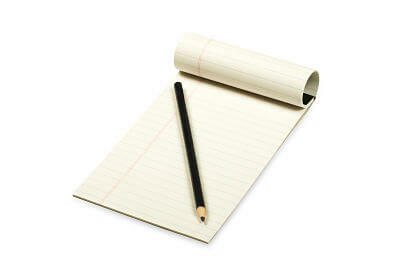 It needs to be eye-catching and readable at a glance - particularly important if the speech will be getting publicity. This should really come under the 'boring' category, because using dull, overworked titles can cause your listeners to switch off before you get going - as can clichéd expressions (quiet before the storm etc) unless wittily incorporated. 1. It may lead your audience to expect something your speech doesn't deliver! Whilst hinting at your subject matter is a good thing, being so obscure that your title misleads your listeners is NOT! 2. It may be too humorous when your subject matter is entirely serious (do note, however, that humor can be great in a speech title if it fits with the theme of the speech). 3. It may be offensive. Think carefully! Remember: You can't save a bad speech with a good title, but you CAN make a good speech even MORE memorable with a title that grabs attention and makes your listeners keen to hear what you have to say.